USA Rugby is proud to announce the 2011 Men's Collegiate All-Americans Touring Squad. The team consists of the top men's collegiate rugby players in the country and will assemble for a training camp at the Olympic Training Center in Chula Vista, Calif. in early July to prepare for a three-match series with the New Zealand Universities team. The 30-man squad has players from the roughly 22,000 men's collegiate rugby players in the country. "The players we selected for the Touring Squad are athletic and experienced. There are some exciting players who earned their spot in this squad through their outstanding play this season and will get to experience in an Olympic training environment, take on the challenge of representing their country against a formidable international opponent, and have the opportunity to put their hand up for future selection into the senior national teams," said All-Americans head coach, Alex Magleby. The All-American pathway, beginning with the High School All-Americans, is a proven route to playing for the Eagles. In fact, four of the players on the touring squad; Cam Dolan (Life University), Ryan Roundy (BYU), Blaine Scully (University of California - Berkeley) and Peter Tiberio (University of Arizona) have all represented the USA at the senior international level. Scully and Dolan are also included in the USA's 50-man preliminary squad that Eagles Head Coach Eddie O'Sullivan submitted last week to the 2011 Rugby World Cup (RWC) organizers. 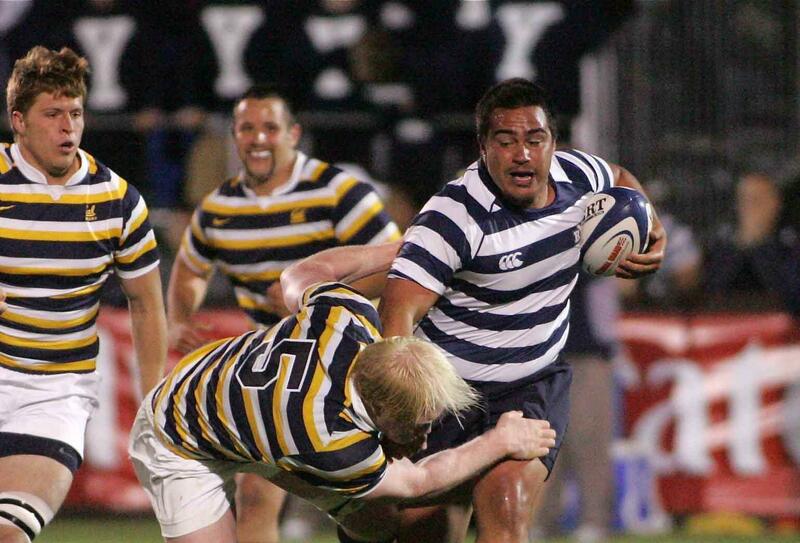 Nineteen of the of the 50 RWC hopefuls named in that squad are former Collegiate All-Americans. The All-American Touring Squad is separate to USA Rugby's previously named Collegiate All-American and Honorable Mention All-American list, which recognizes players outstanding on field form throughout the collegiate rugby season, playoffs, and all-star representative play. The All-American Touring Team is a specifically identified group of players who are believed to have the characteristics to develop into Senior National Team Players. The All-American Tour is meant to provide a development and competition component to develop those players toward full international honors. In addition to recognizing outstanding rugby players, the All-American program is a development pathway to international honors. The program identifies and develops talent and character in order to prepare athletes for higher levels of rugby and life outside of the game. Beginning with the High School All-Americans, a player may progress to the U20-Junior All-Americans, and finally reach the pinnacle of the All-American program and become a Collegiate All-American. All-American rugby has been in existence for more than a century in the United States. The original Collegiate All-American team, originally titled an "American Universities" team, traveled to New Zealand and Australia in 1910, marking the first ever American rugby tour. The All-American crest, adorned with 13 stars and stripes is the same one those athletes wore on the inaugural All-American tour and the 1920 and 1924 Olympic Games, a nod to America's rugby and national heritage. The All-Americans wouldn't be able to continue the proud tradition without the support of their sponsors. Royall Lyme's brand of fragrances has had close ties to the beloved sport of rugby, and is currently involved in the sponsorship of several teams and events at the collegiate level. Royall Lyme also aims to recognize exemplary performances. A "Royall Man" is a winner, yes, but more importantly, Royall Men are, by their very nature, role models and natural leaders. They demonstrate exemplary character.